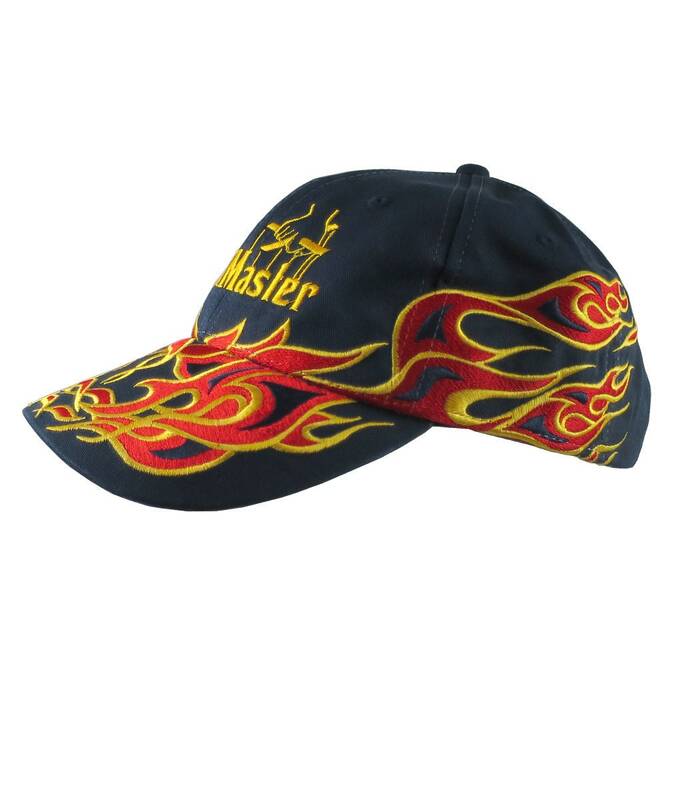 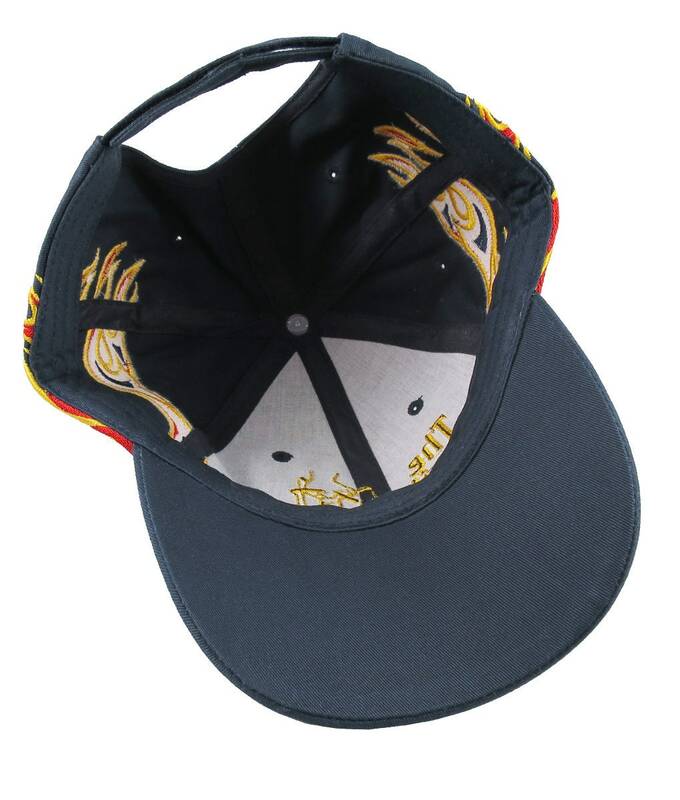 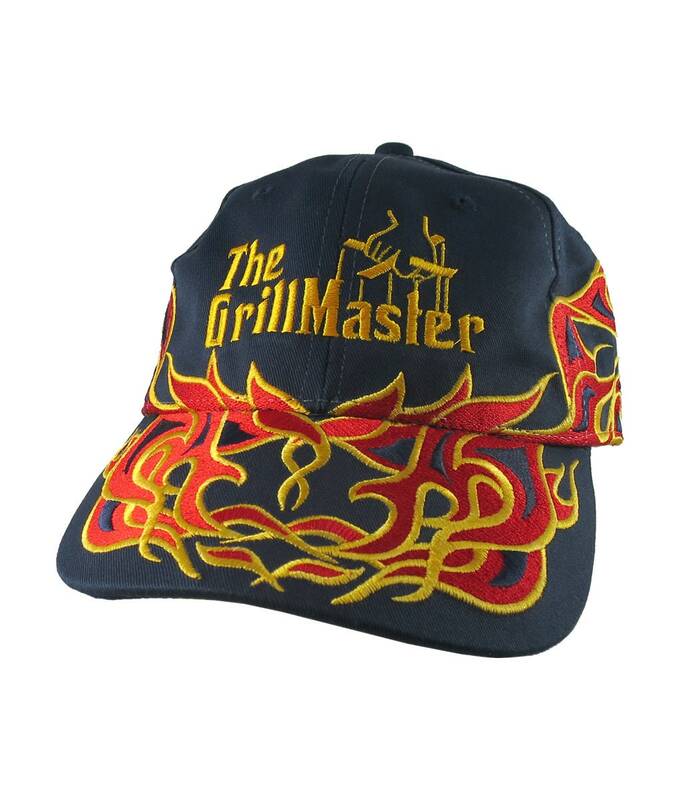 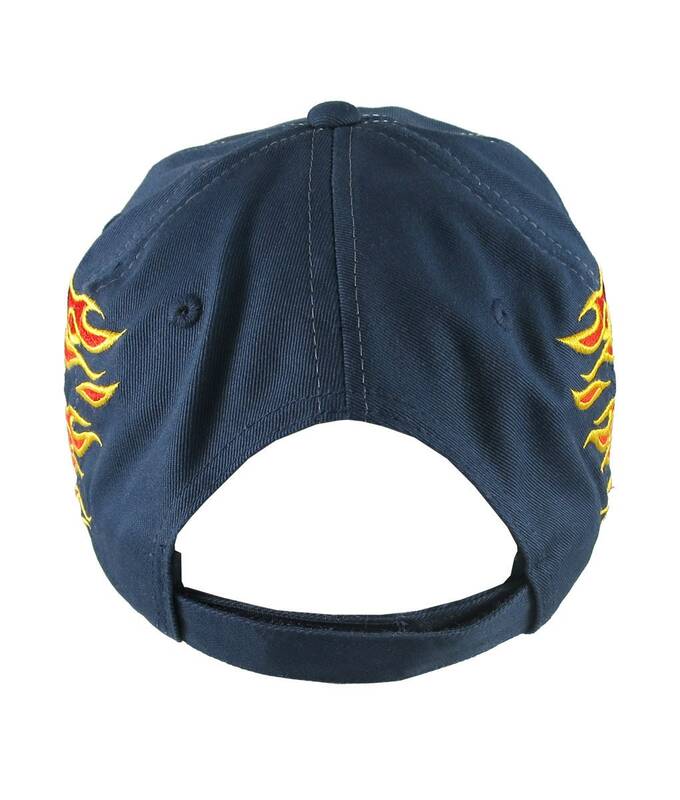 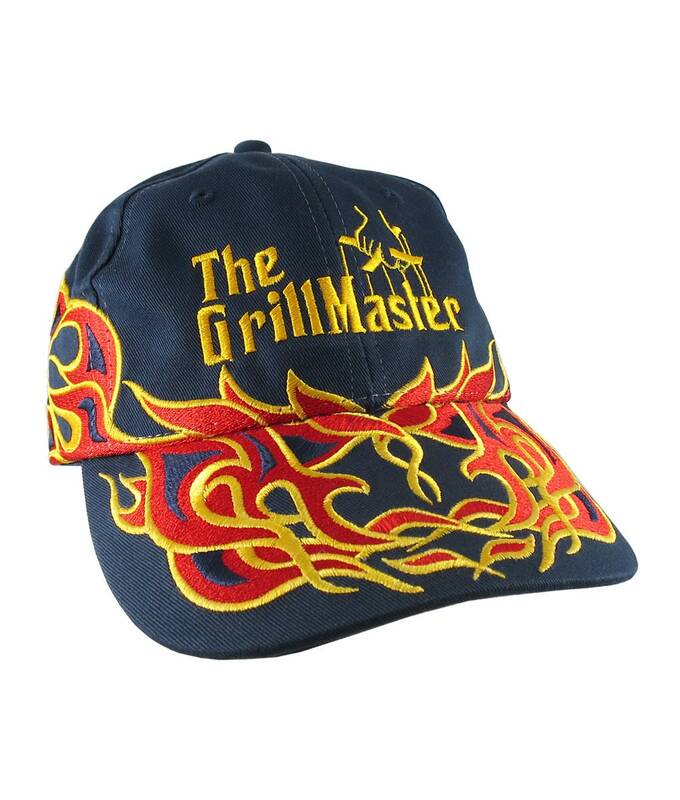 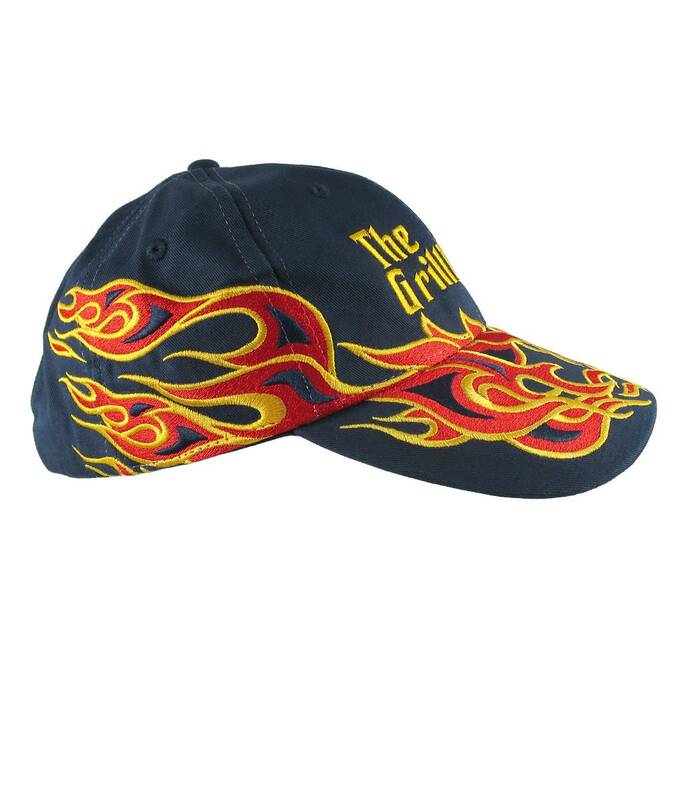 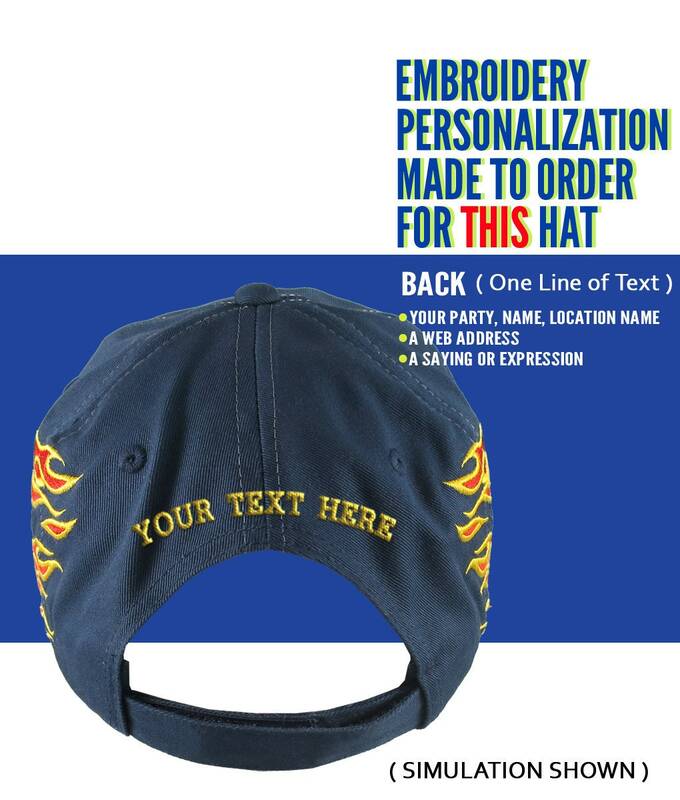 A Grill Master embroidery design done in the mob movie classic style embroidered on a real nice festive fashion adjustable soft structured tribal pinstripe racing flames baseball cap. 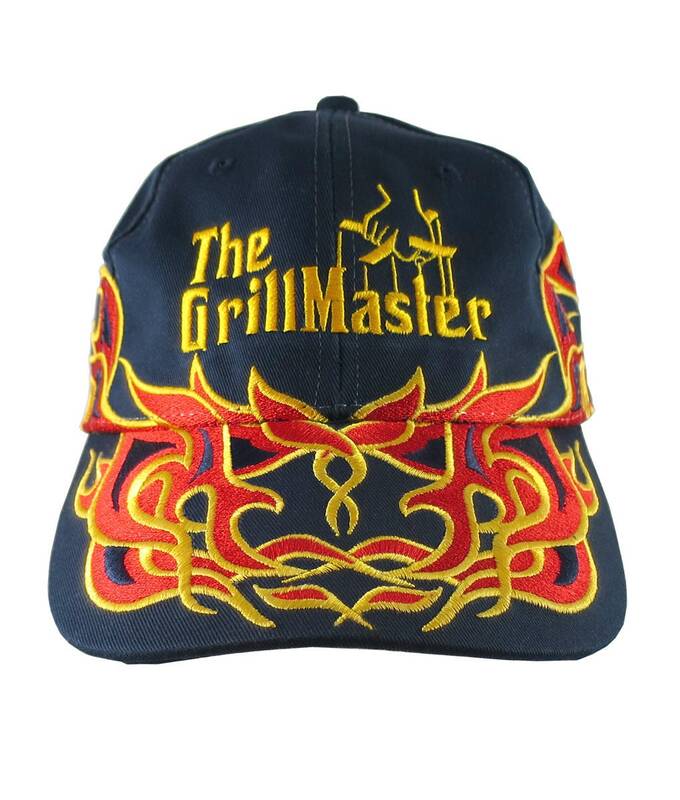 It is a perfect candidate for making a fashion statement on, or off the bbq station. 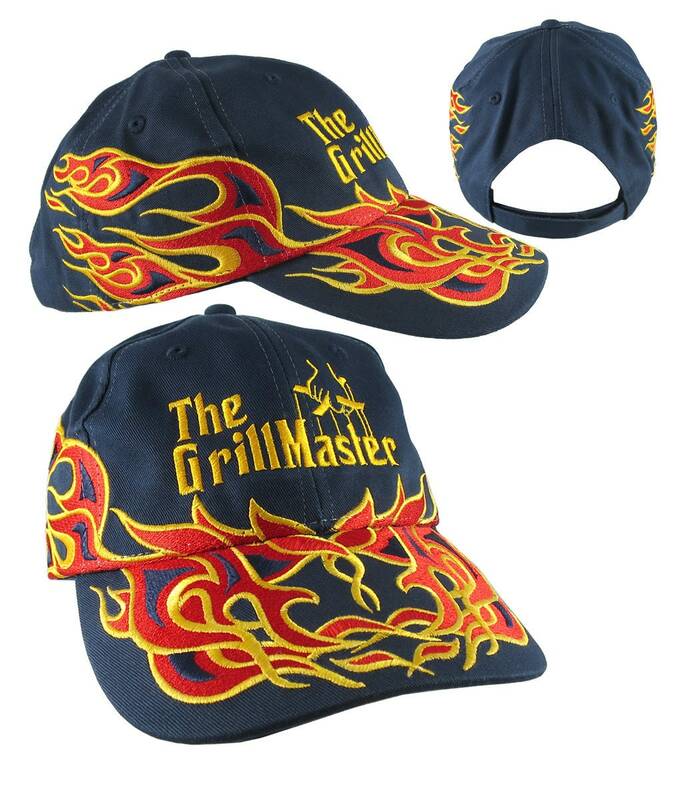 A great gift idea for the grill enthusiast or for a special someone on your list.